Professional monitoring receiver unit "35GR-RM"
The 35GR-RM is wide band receiver unit intended for commercial / government applications. 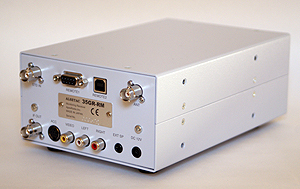 The receiver has no front panel, it is controlled by connection to a computer via an RS232C and USB rear panel sokets. Tuning from 10 kHz to 3.6 GHz, fast synthesizer provides realistic scanning rates of 120 channels/sec or faster. Strong signal handling is assured with a typical 3rd order intercept (IP3) of +3 dBm. Plural DDSs are included in 35GR-RM efficiently. The lock speed of each synthesizer is less than about 2mS. These DDSs and synthesizers are controlled by 32 bits low noise MCU (Micro Control Unit). 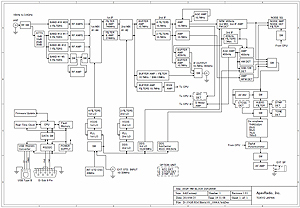 The MCU performs various control of the hardware, and calculation of frequency fast. 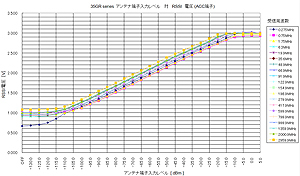 The 35GR-RM has superioir linearity in wide frequency range like the left image. 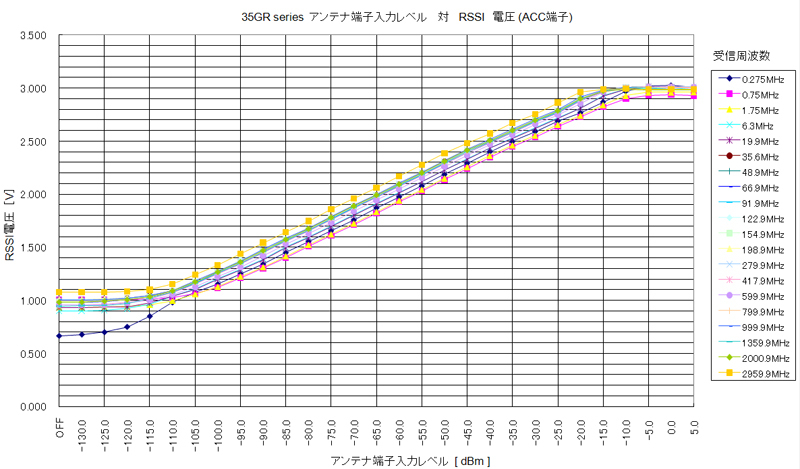 The receiver performance of 35GR series are almost equal (or better) to measurement test receivers. 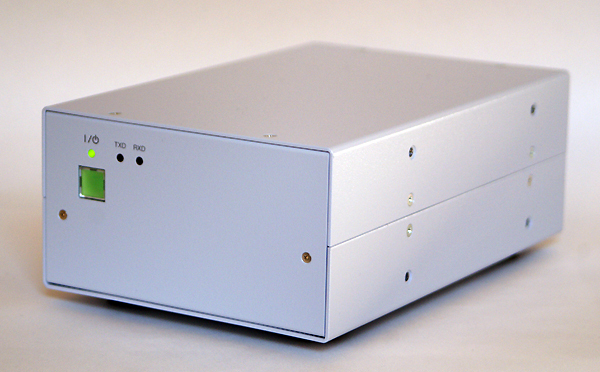 A 12kHz IF output is provided for a PC sound card based SDR (software defined radio) for signal demodulation by the PC. Typical application includes the reception of DRM (Digital Radio Mondiale) broadcasts.